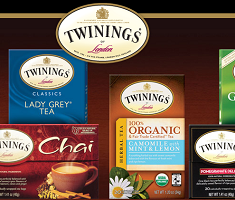 Right now you can get 3 FREE Twinings Tea Samples! All you have to do is fill out a simple form. Thank you for your interest in the Twinings of London® Any 3 Free Sample program. We are excited to share with you any of our blends you wish to try. Whether this is your first time trying Twinings tea or you’ve been a long-time fan, we have over 50 distinct and mouthwatering varieties for you to enjoy. All you need to do now is decide what you’d like and we’ll send them to you. You never know, you might find a new favourite.